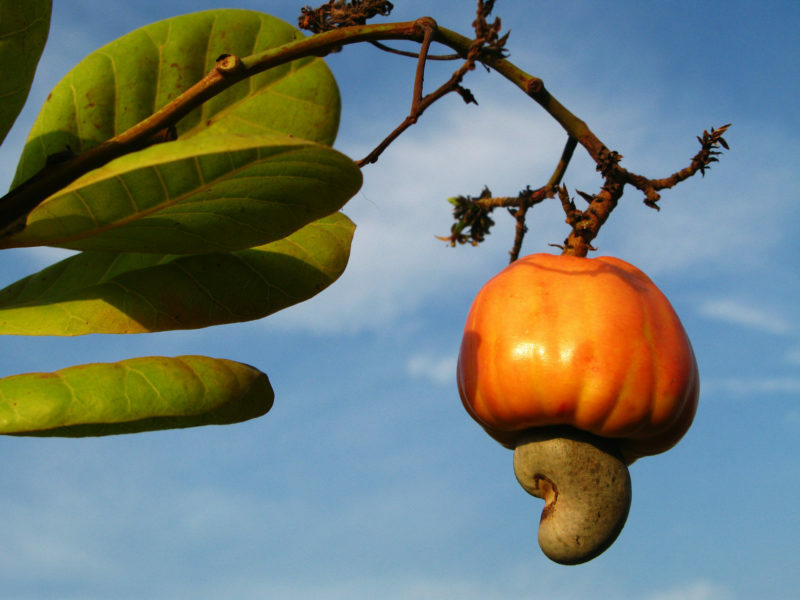 Cashews are a seed from the fruit-bearing cashew tree, Anacardium occidentale, which is a tropical evergreen. This tree was originally native to Brazil, but it is cultivated in many countries throughout the world now, including Vietnam, Nigeria, and India. This nut is very mild and, because of its unique macronutrient ratios, it is incredibly versatile: it can be used to make milk and even cheese replacements! However, it is important to note that cashews should be excluded from the diet of anyone who’s on the autoimmune protocol (though they may be reintroduced if tolerated!). Cashews are featured in my recipes for Paleo Shrimp Pad Thai, Lemon “Cheese” Cake, and Chocolate-Date Squares. These nuts are a good source of nutrition for those who can tolerate them. They are very rich in the cardioprotective monounsaturated fat but also contain both saturated and polyunsaturated fats (not a good or a bad thing; just noteworthy). Cashews are rich in vitamins B1, B5, and B6 as well as K1, and they are an awesome source of the minerals iron, magnesium, manganese, phosphorus, and zinc. However, cashews are not included in the autoimmune protocol due to their incredibly high phytic acid content (higher than many other nuts, including almonds and walnuts). Phytic acid or phytate acts as an antinutrient by binding dietary minerals, making it very difficult to absorb all of the nutrition from our food (I talk about this in a lot more detail in the post The WHYs behind the Autoimmune Protocol: Nuts and Seeds). Cashews can be purchased on Amazon.